Attorney Pamela W. Carter is the founder of Carter Law Group. A native of New Orleans, Pamela W. Carter had a career as a journalist and television news reporter with the ABC Affiliate KATC-3 Television. Ms. Carter attended law school and went to work for New Orleans Civil District Court , City Court Judge in 1995. She went on to practice law for well-respected New Orleans Defense firms. When Pam was in college, she performed in Shakespeare performances and she was a television news reporter. Ms. Carter’s practice focuses on personal injury litigation with an emphasis on trucking and transportation, premises liability, employment, insurance defense and products liability. She specializes in the representation of clients in all aspects of general litigation including wrongful death, slip and falls, lead paint cases, wrongful death and food contamination matters. For more than 18 years, she has handled hundreds of claims involving exposures to toxic substances including asbestos, silica for major automotive companies and product manufacturers. Ms. Carter has litigated injury cases in state and federal courts throughout Louisiana. Ms. Carter is also a lecturer and publisher of various legal industry and diversity articles. She has been an invited lecturer at national expert and lawyer seminars of the American Bar Association, Defense Research Institute and National Bar Association, as well as for the Louisiana Bar Association (LBA), and Seak Expert Association. She was appointed as a Member of the Board of Governors for the Louisiana State Bar Association, and was appointed Board Member for the ABA’s Tort Trial and Insurance Practice Section. She also serves as the Publications Editor of the Defense Research Institute’s Diversity Newsletter (2008-Present) and has served as the Editor for the American Bar Associations TIPS’ first Diversity Newsletter (2006-2008). She is admitted to practice law in Louisiana and Texas, as well as before the state and federal district courts of Louisiana. In October 2015, Mrs. Carter began serving a three year term as National Director for DRI. In 2013, she was appointed Chair to DRI’s Diversity Committee. Prior to that, she served for two years as Committee Vice Chair, Chair of DRI’s Diversity Committee’s Publication Committee publishing the Diversity Newsletter, and was co-chair of the very first Defense Research Institute’s (DRI) Diversity For Success Seminar and Corporate Expo. Ms. Carter has continued to be involved in the seminar for the past ten years. She has been an active member of the American Bar Association and the Defense Research Institute for several years. Ms. Carter has played a lead role in organizing local and national diversity events dedicated to promoting greater diversity in the field of law. 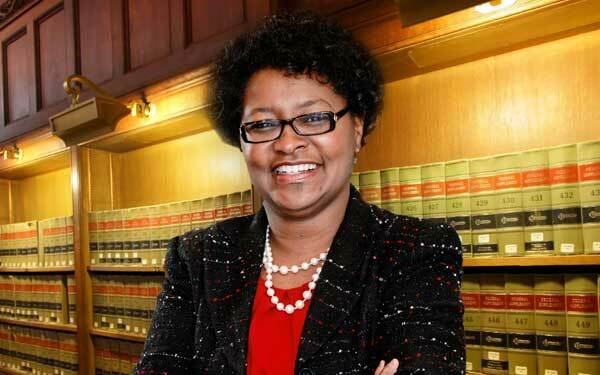 Pamela W. Carter is one of the 2012 honored recipients of the Diversity Leadership Award from the American Bar Association, Section of Litigation. The Section understands the importance and intrinsic value of increasing diversity and ensuring equal opportunity in the legal profession. It established the Diversity Leadership Award in 2008, sponsored by Navigant, the Litigation Advisory Services Sponsor of the ABA Section of Litigation. The Diversity Leadership Award recognizes those individuals or entities who have demonstrated a commitment to promoting full and equal participation in the legal profession through the encouragement and inclusion of women, minorities, persons with disabilities, and/or persons of differing sexual orientations and gender identities. Member – 2011-2012 Council on Litigation Management. CLM is an alliance of corporations, insurance companies and law firms committed to furthering the highest standards of litigation management. Membership is by invitation only. Carter Law Group awards two high school student scholarships (May 30, 2013).